New! Mobile Mechanic - We Come To You! Jet Ski Service Available Now! M & R Auto Care takes great pride in offering their client personalized service at all times. 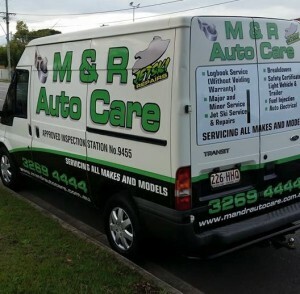 Based in Deagon, M & R Auto Care have a wealth of experience in servicing all makes and models. They have a commitment to high quality workmanship, ensuring the very best in automotive care. Need a professional mechanic that comes to you? Our Mobile Mechanics can do a range of services including New Car Service, Log Book Servicing that doesn’t void manufacturer warranty. Our fully fitted van can come to you. We service around Boondall, Brighton, Sandgate and surrounding areas.